With a reputation for innovation and competition, this British automotive company produces some of the finest luxury sports cars on the market. Motorsport and speed are in their very DNA. Their knowledge and experience of making cars go fast are applied to building some of the world’s best motorcars. We worked directly with global media specialists DCT8 who gave an overall directive, whilst we focused on the PPC element of the campaign. With a new range of sports cars to take on some of the more established brands in the sector, the client needed a digital campaign to infiltrate and disrupt the online market. A key objective was to take users away from the competition and present the client’s brand as a superior alternative. This campaign centred around promoting the brand in Germany and driving users to the retailer network using online configurator use, test drive bookings and sales as KPIs. Our approach was to split the campaign into three key segments; we targeted people already interested in the brand, people looking for information on competitor brands and cars and lastly, people searching online generally for sports cars and supercars. For each segment, we utilised different messaging to engage users and bring them onto our client’s website. A key objective was to raise the brand’s awareness in Germany as an automotive company, not just a motorsport brand whilst championing their reputation for high performance and manufacturing quality. By achieving a very low average cost-per-click, the campaign resulted in a huge increase in traffic to the website and a significant uplift in users registering interest and enquiring about available cars. Data shows that this audience was highly engaged, clicking through the configurators, requesting finance information and submitting enquiries to the dealer network. 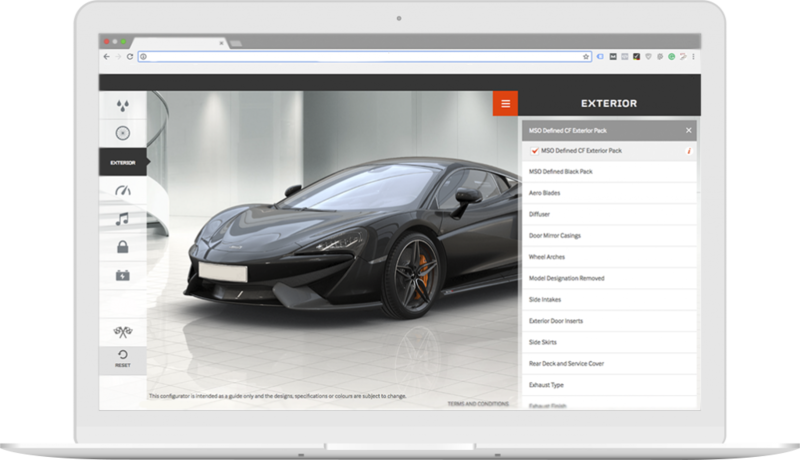 In particular, the campaign successfully drew users away from the competitor brands they were originally searching for and through to our client’s website where we could present their cars as superior models. The basic structure and strategy of this campaign are now being considered for a global application in over 25 markets worldwide.